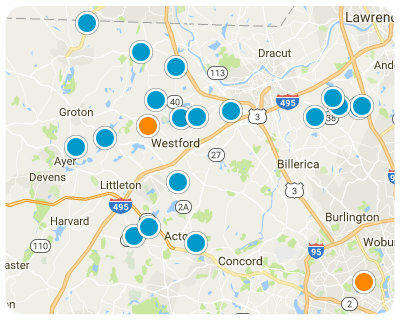 The Chinatti Realty Group provides exceptional service to clients looking to buy OR sell Real Estate in Westford and the surrounding communities. We use our expertise to help our clients achieve their real estate goals. Our agents are knowledgeable about current market trends in the area. We are able to leverage this expertise to provide you with the best possible experience throughout your real estate transaction. 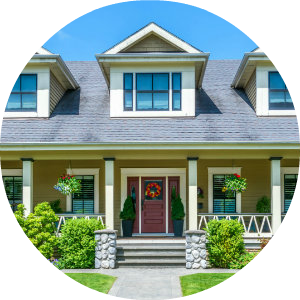 This website provides our clients with up-to-the-minute access to the MLS property database, the same system used by realtors. Our clients can search for properties, request information and request a personal showing appointment from one of our agents for properties that interest them. 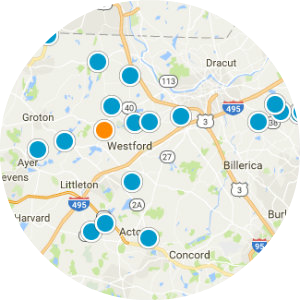 The primary focus of our business is centered around Westford, Chelmsford, Tyngsborough, Groton, Acton, Boxborough, Ayer, Pepperell, Tewksbury, Winchester, and Littleton. We are, however, dual licensed in Massachusetts and New Hampshire. We can also handle your real estate needs in Nashua, Hudson and Pelham. See our community pages (linked above and on the sidebars) for more detailed information about some of these towns if you are early in the decision process and need some information to help you narrow your search. We love working with buyers! Whether you're a first-time home buyer who is looking for guidance through a sometimes complicated and confusing process, or someone who's bought and sold real estate many times in the past, we will take the time to listen to you, understand your needs and help you achieve your goals. We leverage the latest industry technologies to enable up-to-the-minute tracking of market listings enabling our clients access to newly listed homes as soon as they hit the market. Selling your home can be an overwhelming experience. 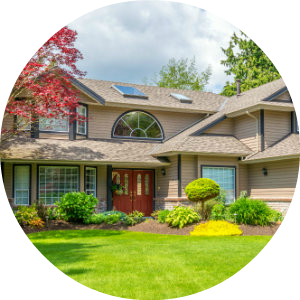 Our number one goal is to help you achieve the highest price for your home in the shortest time. Our partnership starts before your home is actually listed for sale. Our team consists not just of a professional real estate stager, a professional real estate photographer, but also several other folks who will make sure that your home looks fabulous- both on-line and in person. Our independent marketing plan ensures that your listing will be seen by thousands of home buyers. If you're thinking of selling your home, give us a call and we'll be happy to come out and give you a full Market Analysis of your house at any time. We also offer a free online market analysis tool that will give you a ballpark estimate of the value of your house. The Chinatti Realty Team works tirelessly to help our clients achieve their real estate goals. As licensed Realtors, we also adhere to a strict code of ethics. That code dictates our duties and responsibilities to our customers and clients. It also demands honesty and integrity when dealing with all parties throughout the transaction process. We take this responsibility with the utmost sincerity.